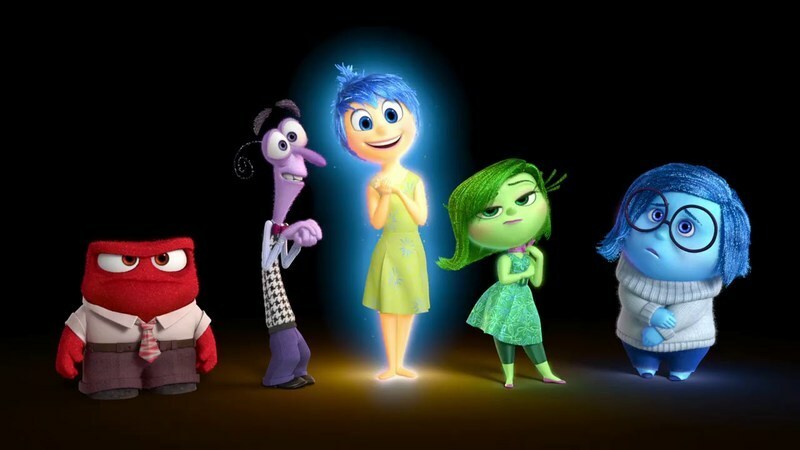 In praise of Sadness: the healing insight of "Inside Out"
I'm writing in praise of Sadness. I mean Sadness, the "Inside Out" character, but also sadness, the emotion. I'm writing because Sadness needs a defense. I suppose it's possible that the film's director, Pete Docter, and his animators could have thrown in a line or scene reassuring viewers that skinny people can be sad, too, and that fat people can be happy. And they could've switched the physical roles, and maybe had Sadness be tall and skinny instead, or come up with different ways to show both of them, as well as different ways to show their compatriots. Their visual imaginations seemed sensible to me. Joy is supposed to look like a star, Sadness a teardrop. Anger is fiery and stubby and has no curves, only straight lines. Fear often holds his hands in cringing or prayerful shapes, and his terrible posture sometimes makes him resemble a question mark (we fear what we don't know or understand). But I'm not going to tell anyone who feels otherwise that they're wrong. If somebody looks at Sadness and feels that the character is making them feel bad for not being skinny, it's a legitimate reaction, because such reactions are subjective and personal—and unfortunately, since the film is finished and can't be remade, it's one that cannot be addressed by the filmmakers, except by insisting that wasn't what they meant and asking for forgiveness. I would like to suggest, however, that even if you share this negative reaction to the way Sadness looks, the film is still valuable anyway—not just because it's funny and sweet, but because it's the only major motion picture that I can recall that presents Sadness as a necessary and valuable part of life, and integral to making good decisions. It's not until you've thought about the United States of America's longstanding self-image, and how Hollywood keeps making films that reinforce and pander to that self-image, that you realize how revolutionary "Inside Out" is. This is a film aimed at kids that makes Sadness a hero alongside Joy, and shows Joy running roughshod over Sadness and diminishing her contributions and generally being annoyed by her, until finally she finally starts to listen to Sadness. Once she starts listening to Sadness, she realizes that she has something incredibly valuable to say, and that indeed if everything were left up to Joy, the mission would be a disaster, because Joy keeps denying Sadness. This movie is saying, "Listen to Sadness. Sadness is important. Sadness has something to teach you." "Inside Out" stands in opposition to an entire culture that tells people that happiness is the highest, best and sometimes only permissible emotion, and that sadness is an obstacle to being happy, and that we should concentrate all of our emotional and cultural energy on trying to eradicate sadness so that everyone can be happy. Disney, which owns Pixar, is itself an integral part of this mindset. Since the 1950s it has sold its theme parks as "The Happiest Place on Earth" and made films (some simplistic, others very sophisticated, at least in terms of their design and storytelling) that present happiness as the end goal for the hero or heroine. Don't worry, be happy. Chase the blues away. Smile, darn you, smile. Just direct your feet to the sunny side of the street. As a clinical depressive, I was especially grateful for the film's message. I've made some terrible decisions out of sadness but also some very smart ones, and in each case, sadness wasn't the only operative emotion: there was also anger, joy, fear, maybe some disgust, and probably a lot of other emotions that aren't represented in the visual scheme of "Inside Out." As Walt Whitman says, we are large and contain multitudes. A big part of learning to listen to yourself is realizing that you shouldn't just listen to one emotion. Just as it's possible to hold two seemingly contradictory points in your mind at the same time, it is possible to listen to two seemingly contradictory feelings, and you might draw a better conclusion as a result. It took many years of therapy and intensive reading of books about therapy and psychology for me to understand that it's not only normal to feel sadness as a default emotion, but that a lot of meaningful and even important art has been made by people who were definitely or probably depressed a lot of the time. We used to have a different word for them: melancholics. As in melancholy. It never occurred to me until I began exploring my own emotional interior that I was a depressed (or melancholic) person by temperament, and that my generally affable demeanor was a reaction, even overreaction, to the sense that I was not normal, that sadness was not normal, that sadness was a thing standing in the way of happiness, that it was somehow shameful and destructive. Thus the unending push for happy endings in films, TV series, books, even for stories that really shouldn't have them. Thus the parents and grandparents telling little kids, "buck up" or "let me see that smile" or "Why so sad? It's such a beautiful day out." Or worse, "Look at your life, at all the people who love you. Look at all you've done. What do you have to be sad about?" I think a lot of this cultural, familial and other pressure comes from people feeling insecure about their own sadness. Maybe it's all an example of a people and a culture internalizing the values of their oppressors, in this case the "Don't Worry, Be Happy" brigade, or something like that, and deciding, "By golly, I'm not going to be sad, I'm going to be happy, because then good things will happen to me." Riley doesn't run away from home because she hates her new school and misses her old friends. I believe she runs away from home in large part because her parents keep denying the legitimacy of her emotions, her sadness especially, and making her feel like a freak for feeling the way that she feels. She runs away because, well-meaning as they are, her parents haven't created a safe space for her to sit with those uncomfortable emotions, live with them, be friends with them, listen to them, accept them as normal. "Inside Out" isn't having any of that. In the end the movie tells us that it's normal for Riley to feel sad about relocating and losing her old friends, it's normal to feel angry about having no say in it, it's normal to feel fear when she contemplates her new present and her unknown future. Sadness is normal. Sadness is important. Sadness is not the opposite of Joy, she's her partner. It makes me feel better just to write that last sentence, so I'll write it again: Sadness is not the opposite of Joy, she's her partner.